One major problem of Android smartphone and tablets is the battery, as Android OS uses lots of processing power, hence stressing your phone and heats. Since this is not a problem for 2000mAh battery capacity and up, how about for those who only has 2000mAh and below smartphones and tablets? And the fact that most of us didn't bother to take care of our battery because it has some monstrous capacity, that's entirely a wrong approach. Lets take care of our gadgets to prolong its life, although some rich folk out there wouldn't bother to read such guides. 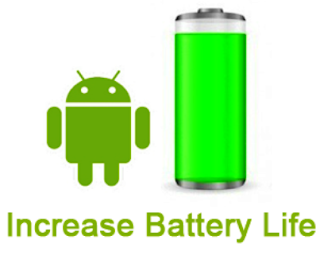 Anyway this tips are for everyone, so read carefully, and lets increase the battery life of our Android devices! 1. Avoid warm/hot environment - Keeping your phone or tablet cool all the time will dramatically increase its battery life, as heat is the number 1 culprit on battery draining. It seems everyone know what are these places right? Lets proceed on the second tip. 2. Lower the screen brightness - The brighter its gets, the more power it will consume. Android's automatic brightness normally works fine, but sometimes not in all situations. So, it is best to change them manually according on what you see, and believe me you'll get extra hours of battery life. 3. Reduce screen timeout - Making the device dim faster during idle times can help you get extra few hours of additional usage 1 minute interval would be the best setting. 4. Turn ON power saving mode - By turning ON this feature, your gadget will intelligently adjust its settings and disabling Wifi/Bluetooth/GPS when now in use. Just use this feature when your about to loss battery, as this will surely slow down your device performance. 5. Turn off vibration - Some people might not notice this, unless you really need the vibration. I would recommend to turn it off, and you've just saved your phone from the big drain. 6. Turn off Key vibration - Although you might not see a direct impact, believe me turning off haptic feedback is another way to save battery life. What's the point in making your smartphone or tablet vibrate everytime you tap it? 7. Turn off App Notification - Facebook, Twitter, etc. will try to push notification everytime they get an update, and your device will respond and creates a connection, hence more power usage in the background. Just check your status directly if you can't live a day without checking it. 8. Turn off Wifi/Bluetooth/GPS - It is not necessarily that you have to turn it off all the time. Just turn it off when not in use. Specially GPS, since it hogs so much battery if left running. 9. Spare battery - Having another magazine of battery is a good thing, especially when your out traveling where there is no place to charge, then it is a good idea to bring one. 10. Have time for the device to rest - Maybe you should turn the device off once in a while, specially if you don't need it for a couple of hours. Giving rest to your battery will increase its battery life. And sometimes, try to charge while the device is off. That's all for the tips, I hope you find this post helpful, and if you find any tips to save battery life which are not stated here, kindly share it with us! nice posting. i am very benefited for that. for the latest & & update news about how to charge atablet battery you can click on the anchor text.